It is always a thing of joy to be remembered by your team long after you are gone. I can imagine the joy that was laden in Dough Pederson’s mind when ULM announced him as the team’s honorary coach. This move must have inspired the Warhawks to a historic victory against their longtime rivals, Southern Miss. The victory recorded by ULM against Southern Miss at Roberts Stadium is historic because it was the first time in over three decades that the Warhawks marched out of the Roberts Stadium victorious. The USM has a 4 – 2 advantage in the series and ULM has an awful record against them. I was particularly thrilled by the nervous last minutes of the game. USM had the opportunity to seal the game at many points. The most obvious was when Parker Shaunfield missed a field goal from 49 yards when it was 5:42 minutes to go. This would have given the Golden Eagles a lead. I was literarily at the edge of my seat watching the last few minutes. My tension heightened in the last 30 seconds of the game. 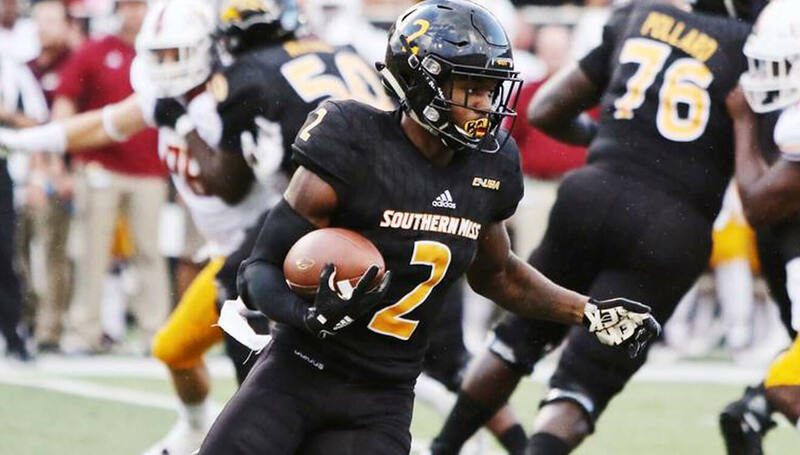 USM would have turned the table if Jack Abraham was not stopped by Cortez Sisco Jr. in the last 7 seconds to close the game at 21 – 20. I would say that bringing Dough Pederson along was a great tactic which worked in favor of the team and against their opponent. 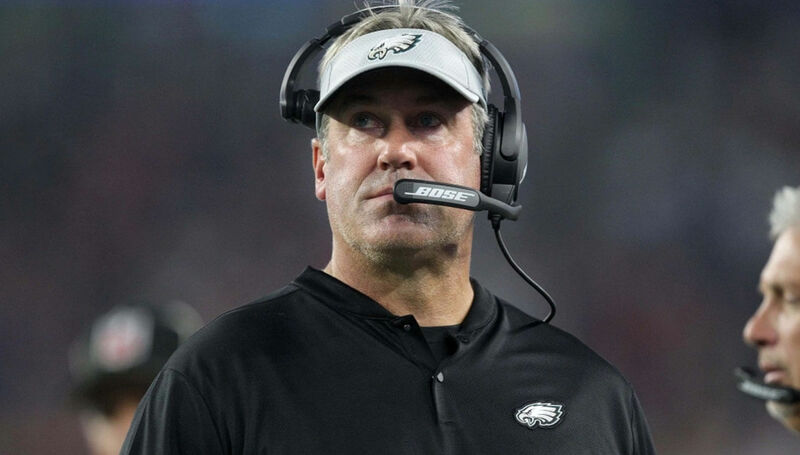 Pederson (now the head coach of Philadelphia Eagles) is a defending Super Bowl champion and the former star quarterback for ULM. 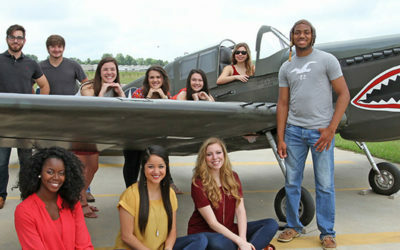 His presence is definitely a great motivation to the Warhawks. The team proved this with the victory. 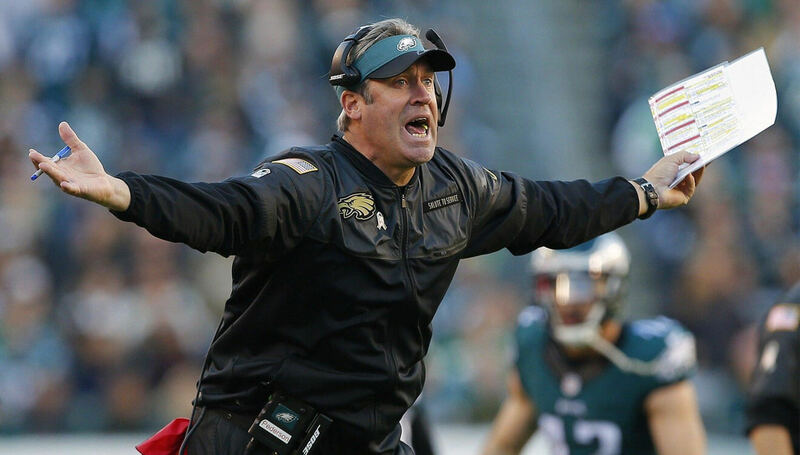 Pederson on his path has remained patriotic to his former team. According to him, one of his weekly priorities is to watch ULM game. Besides his inspiring presence, Pederson’s support for Warhawks has been unwavering. Last spring he was there to support the team at the kickoff of their refreshed brand and logo. He particularly praised the new uniforms and helmet logo. 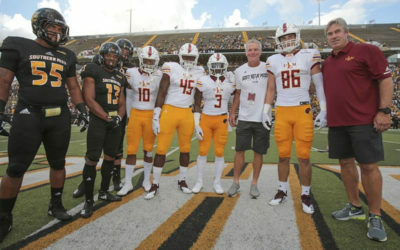 Pederson in a speech said, “With ULM going back and reconnecting and tapping that resources of former athletes with the logo and color change, it kind of brings it full circle”. Pederson recounted that the L on the new jersey was designed like what it used to be when he wore it during his time. The entire scenario made him go back the memory lane in an emotional speech which gave me Goosebumps. From Pederson’s interview at halftime in the radio booth with Warhawks Nick White, I bet part of the reasons why he is so committed to ULM is because of his son Josh Pederson who was on the sideline throughout the preseason because of illness. 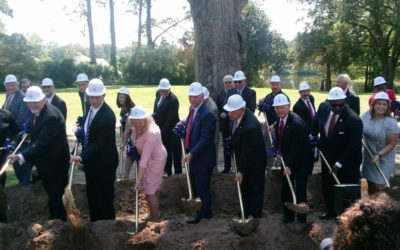 Dough Pederson could not hide his joy watching his son in uniform and mentioned that it is a special moment in any parent’s life to watch their kid perform. The idea of honorary captain was Pederson’s. Pederson met with Matt Viator, ULM head coach in July at a lunch and suggested it to him. Viator thought it was a good idea and they met with the right people and made it work. He also called on his friend, Bret Favre, USM alum, to do the same. In the end, it worked. While Pederson was on one side of the field, Favre was at the other side. It all made the game memorable. What Has Improved In The ULM Team? 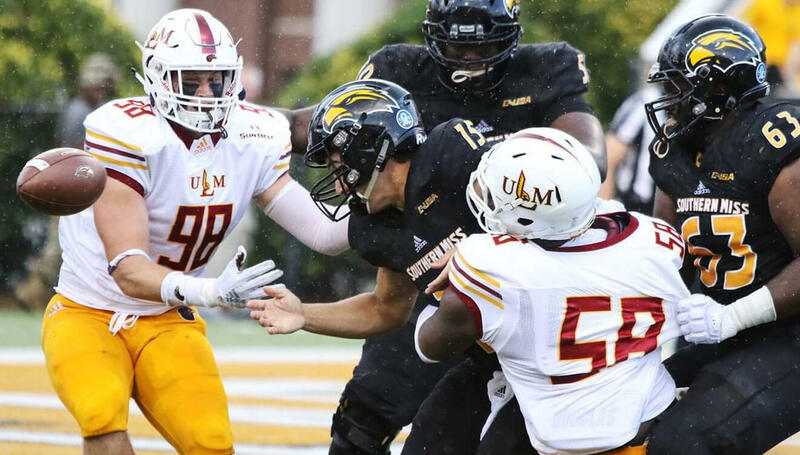 Watching the game it is easy to spot the tremendous improvement of the ULM defensive front – and they had the upper hand against USM offensive line most of the night. 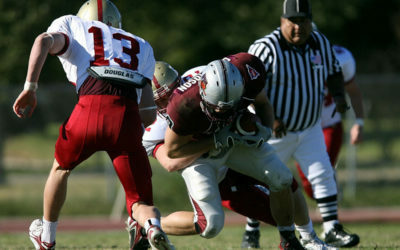 The defensive coordinator of ULM has also made tremendous plan to reinforce the team with defensive players. I don’t expect to see much changes this current season but from the 2019 season. For the first time in a long while Abraham, the hitman of USM was under pressure and it showed in his throws and runs. His first interception was a throw intended for Tim Jones. Though it was a glorious night for Pederson, the drop in the number of fans by nearly 10,000 suggests otherwise.